The United States Environmental Protection Agency gave its approval for Kentucky-based MosquitoMate, a biotechnical company, to released male mosquitoes that are bacteria-infected in several states in the U.S. The approval by the EPA was first reported on November 6 by Nature and confirmed by the Kentucky company, but the EPA has not responded to messages asking for confirmation. The lab-grown mosquitoes at the company are called ZAP males and are infected with Wolbachia bacteria, which are naturally occurring in several insects but not in the Aede aegypti, a vector of different viruses that included dengue, Zika and yellow fever. When males that are bacteria-infected mate with females that are uninfected, the females will produce eggs that do not hatch. Additionally, the infected mosquitoes are much less apt to spread the disease. The EPA, according to reports, registered on November 3 the mosquitoes at MosquitoMate as bio-pesticides, with a license for five years to sell to 20 states. CEO Stephen Dobson of MosquitoMate is an entomologist who said his company could begin selling their infected mosquitoes as soon as next summer through contracts with different government bodies as well as direct to homeowners starting in Lexington, Kentucky, and then expanding into areas such as Nashville, Tennessee. The states where sales are permitted include ones that have weather conditions that are very similar to Kentucky, California and New York, states in which the company had conducted earlier trials, and Washington, D.C.
Last April, the company started a field trial of 12 weeks that involved the release of 20,000 Aedes aegypti male mosquitoes on Stock Island located in the Florida Keys. The mosquitoes do not bite, which should make hearing about the released of such, much less alarming. Other countries have used the mosquitoes produced in labs to lower populations. In Guangzhou, a city in southern China, scientists used a method that was similar to control the population of the insect by making a mosquito factory that was able to produce millions of the infected males in 2017. In addition, Brazil has used this method in a campaign against Zika virus. 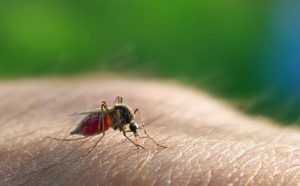 It also attempted to use different types of lab mosquitoes, including one that has been genetically modified that has been faced with much resistance in the United States. The lab raised mosquitoes affect other mosquitoes but no humans or animals.